The lack of women-led, produced, and directed theater productions and companies is a well-known phenomena both in the theater world and beyond. Michole Biancosino, the co-founder and artistic director of the Project Y Theatre Company, decided to address this disparity by hosting an entirely female-produced festival, starting on June 9 and continuing in July. 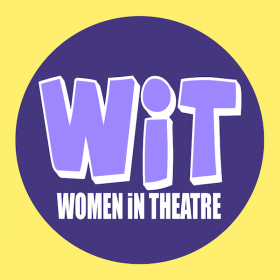 The first annual Women in Theater Festival will be held in various locations throughout the city, including Under St. Mark’s in the East Village and ART/NY Studios in Brooklyn, and has become a passion project for Biancosino. She also aimed to showcase a wide variety of women’s writings. “The events range from full productions to readings to workshops to solo shows, and we also have completely online projects,” she said. With 10 female-led companies participating in the festival, Biancosino said visitors can expect a great mix of styles and performances. In order to make it as inclusive as possible, Biancosino wanted to create an event that had “a real indie spirit to it” and was “completely affordable.” While readings are usually free, fuller productions on Theatre Row can range up to $25 per show. Below are some of our top picks for June’s program. New short plays by playwrights such as Lauren Yee, Erin Mallon, Sarah Dunivant, and Kat Mustatea will start off the festival in style, and will be followed by the official kick-off party in collaboration with WeBroadway.org, which will offer live entertainment and refreshments. Traber’s gender-bending play focuses on the adventures of a famous Harlem Renaissance performer who became infamous due to outrageous performances. Open Boots Theatre, a female-led company, incorporates a mix of genres in theater and comedy in their new show “Guilt Complexion,” which starts off with the simple premise of a spilled glass of juice. Afterward, Marnich, best known for her writing on shows such as The L Word and Big Love, presents her new play on friendship, marriage, and changing relationships.